Views from the Sofa is 6 Years Old today! As has become tradition, we always use our birthday to look back at the past year and give some awards based on the movies we have watched this year. These awards are for all the movies watched, not just those released in 2017 (although this has it’s own category too) so uniquely, movies from different eras can go up against each other. That means that this year Pirates of the Caribbean can face-off against the Power Rangers, both Trainspotting and it’s sequel can be in contention and remakes of movies can be pitted against their originals, like Beauty and the Beast or Ghost in the Shell. So without further ado, a look at the best (and worst) of what was viewed in 2017! There are two reasons I like doing these awards. The first is because I can compare the performances of Mickey Rourke from 2008 and James McAvoy from Split in late 2016. McAvoy’s performance just about wins it because of how he transformed into different characters with little more than a costume change (or in some cases, a pair of glasses). You genuinely believed that he had split-personalities and were terrified even by the timid ones. The best performances require an actress to undertake a complete transformation but Black Swan required two. Natalie Portman had to become a convincing ballet dancer and demonstrate the requisite skills and injuries that comes with that. She also had to become two separate people, splitting her personality and being both the dark and the light. A great performance. A tough category. Many other directors were culled from the nominees but the award had to go to Shyamalan for the his low-key movie release Split. He crafted a horror movie that revolved around tension rather than straight-scares and created a character that was terrifying but compelling in McAvoy’s split personality psycho. This is the tightest year yet for a category. Unlike previous years, not many movies from 2017 were actually watched (17 in total) and because of the nature of the cinema, most were blockbusters. 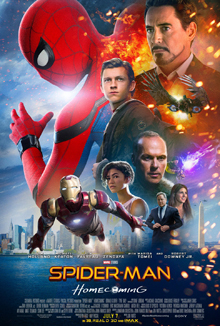 It was a great year for superhero movies though (as the nominees show) but only one could win and this was the year when the greatest version of Spider-Man finally made it to the screen. I watched a measly 76 movies this year. It is my lowest total and because of that, 5 star movies were few and far between. Some were classics and I knew would (probably) be 5 stars before I began to watch them but one surprised me. M Night Shyamalan’s movie output had lulled in quality and although I also watched (and reviewed) Unbreakable and Signs this year, it was his newest movie, Split, which surprised me, impressed me and jumped to the top of this year’s list. 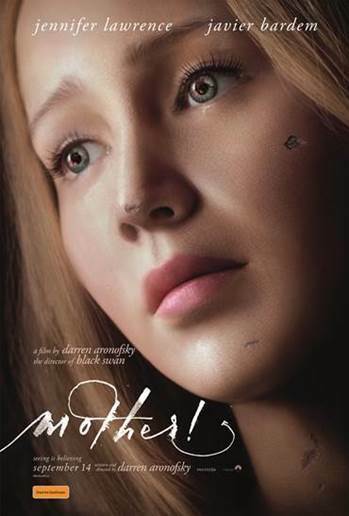 This will shock many people and wouldn’t come close to many other worst movie lists but I didn’t get it. 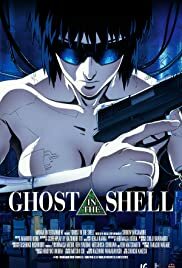 Maybe it was the hype surrounding it before I watched it or that it inspired movies like The Matrix, which I love, but I couldn’t get on board with this classic anime. Overall, a year in which my movie watching dipped but I still managed to watch some classics. 2018 is the year when Views from the Sofa gets back on track and the aim is for at least 100 movies and hopefully more diversity, more range and of course more 5 star films! An early contender for the film of 2018!